1. Work your way up! Diligently work your way up the food chain, starting as a staff writer and proving your mettle by writing strong first drafts so you can get promoted to story editor… then upward to co-producer, consulting producer, supervising producer, co-executive producer, executive producer… and then the crowning achievement (should you accept it) as showrunner. 2. Direct a movie first. You may be able to sidestep the staffing hierarchy by coming into the TV world via a hit and/or buzz-worthy movie that you wrote and, even better, also directed. In the old days, screenwriters and film directors tended to consider TV series work slumming… but that’s all changed now that we’ve evolved into the new golden age of television. See the pilots for House of Cards (directed by David Fincher) and Boardwalk Empire directed (directed by Martin Scorsese) as prime examples. Lena Dunham made the micro-budget indie film Tiny Furniture which attracted Judd Apatow’s attention… who attracted HBO’s attention… and now Girls is forging ahead into a season 4 pickup. 3. Be brilliant. Be a wunderkind writer/producer whose passion and verve convinces the Powers That Be that you’re capable of leapfrogging over the usual stepping stones and deserve to be a first time show runner — even though you have little or no experience actually running a show. Case in point: Matt Nix, who penned the pilot for Burn Notice, had never run a series before Burn Notice, but his vision was so strong, and he’s so overall impressive, that USA Network gave him a shot and it paid off. It also helped that Mr. Nix had gone through the Writers’ Guild of America west’s Showrunner Training Program under the tutelage of veteran show runner Jeff Melvoin (Early Edition, Alias, Army Wives). You can learn more about the Showrunner Training Program via www.wga.org — but be forewarned that they only accept writers with significant credits and/or who are anointed by high level TV/studio executives and/or powerful show runners. Writer/producer/showrunner Ryan Murphy also fits into this wunderkind category; he’d sold feature screenplays, then sold his pilot called Popular… which didn’t last very long but led to Nip/Tuck (which did), followed by Glee and American Horror Story; the guy’s on a roll. See also: Lena Dunham (above). 4. Create your own web series that goes viral and then the broadcast and cable networks will come a’knocking. Google Felicia Day for this career trajectory. See also: Key and Peele, and Web Therapy; although this one started out as a web series then segued onto Showtime, it’s show-run by established, multitalented screenwriter/director Don Roos (who got his start on TV). Bottom line web series as your calling card: No one can argue with success, and a phenomenally successful web series creator can write his/her own ticket and run the show if the buyers want it and you bad enough. 5. Don’t jump into this whole show runner thing. The worst thing you can do for your career is to get in over your head. There’s a reason for creating a body of work and proving yourself in movies and on other people’s series before running the show. If you get the chance to be the leader and you crash and burn, you may not get another chance; with millions of dollars on the line, you’d probably be better served working your way up the ladder. Sure, some writing staffs can be competitive snake pits, but if you’re diplomatic, open-minded, and a good observer, you can learn invaluable lessons about the most effective and least effective ways to run a show. The best show runners are not only great writer/producers, but also know how to delegate to their team. The best tip to becoming a show runner is that no one can do it all by him/herself. It takes a village, so even if you’re the next J.J. Abrams or Matthew Weiner, it will serve you well to learn how to play well with others. BIO: Neil Landau is a screenwriter, producer, author, and professor in the MFA in Screenwriting and Producing Programs at UCLA School of Film, Television & Digital Media. His movie credits include the teen comedy Don’t Tell Mom the Babysitter’s Dead; his TV credits include Doogie Howser, M.D., Melrose Place, The Magnificent Seven, The Secret World of Alex Mack, Twice in a Lifetime, and MTV’s Undressed, and pilot deals at CBS, Disney, Freemantle, Lifetime, Spelling, and Warner Bros. Television. He served as executive script consultant for Sony Pictures Television International for many years, is a faculty member in the Academy of Television Arts & Sciences, and just won a Spanish Academy (“Goya”) Award for best screenplay adaptation for the animated movie Tad the Lost Explorer, 2012; he is now working on the sequel, and a new animated movie: Capture the Flag for Paramount. 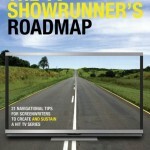 Want to win a copy of Neil’s book, The TV Showrunner’s Roadmap? Then answer this easy peasy question, leaving your name and email and/or Twitter handle in the comments section of THIS post (note: nowhere else on the site, or the B2W social network, JUST HERE, in the comments section please!) by 5pm GMT on Friday, March 7th, 2014. QUESTION: What is the name of the kids’ dog in DON’T TELL MOM THE BABYSITTER’S DEAD? The dogs name is (was? It was a long time ago 😉 ) … ELVIS ! The dog’s name was Elvis. That film rocked my socks. This article was great and enlightening. I’m all about this book, would love a copy!!!!!! Elvis. Uh huh, uh huh. I love this!! Thanks for the tips as always simply the best. The dog’s name was Elvis!